Team India started a new era in Test cricket without MS Dhoni. Virat Kohli, the official captain, failed to bring any cheer to the team on Day 1 of Sydney Test, as the bowlers disappointed with their performance. At the end of Day 1, they offered the match to Australia on a platter. The Kangaroos were 348/2 at Stumps. 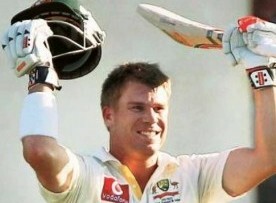 David Warner scored a magnificent century and added 200 runs with Rogers for the first wicket. Rogers missed out on a hundred, as he was out for 95. At close, Steven Smith, who has already scored three hundreds in the series, was batting on 82. Shane Watson was on 61. For India, Shami and Ashwin took one wicket each. India made three changes to the squad. Bhuvneshwar Kumar, who was out of first three Test matches due to injury, replaced Ishant Sharma. Wirddhiman Saha has been included in place of MS Dhoni. Out-of-form Shikhar Dhawan was shown the door. He was replaced by Suresh Raina. Lokesh Rahul will open the innings with Murali Vijay. Cheteshwar Pujara, who failed to impress, was also dropped from the team. Rohit Sharma replaced him. Kohli showed that he can take tough decisions if needed.